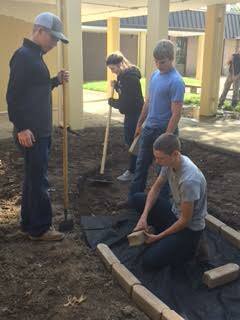 Mr. Walker's landscaping class is working on a new walkway as part of the Courtyard Beautification Project. 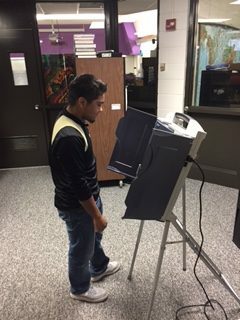 Alex Tello is a 2012 alumnus of Delphi Community High School. Alex is currently a senior at the Chicago Institute of the Arts, majoring in music production. 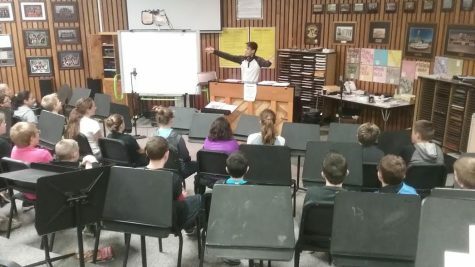 Alex visited DCHS on Tuesday, Oct. 4, to make a recording for an assignment in his music production class.